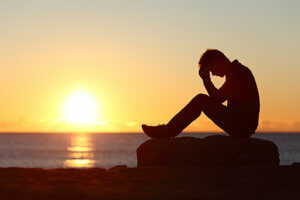 When it comes to overcoming drug or alcohol addiction, stress plays a serious role. Although it’s part of everyday life, too much stress can lead to relapse. Above all, it may be one of the biggest recovery triggers, so learning how to healthily manage it is crucial. Learning stress management techniques is the most important thing patients take with them from rehab. Overall, there are many different helpful stress management techniques. One strategy is regularly participating in a healthy, stress-relieving habit. This allows patients to relieve daily tension, preventing it from building and causing serious relapse problems. For example, art and music are two fantastic stress relieving hobbies. They require minimal preparation, and most people can pick up an instrument, listen to music, or sketch without a lot of planning. These have the potential to become lifelong hobbies, boosting confidence and self-esteem. Many people report that art and music therapy set the foundation for lifelong passions. One of the most common stress management strategies is exercise. There are many reasons why exercise should be a part of addiction therapy. For example, regular physical activity leads to physical health improvement. It also reduces depression and anxiety rates and leads to a happier, healthier outlook. More importantly, for those in addiction treatment, exercise stimulates the production of the feel-good endorphins that might be lacking in early sobriety. Whether or not you’re in recovery from addiction, exercise relieves stress. After 30 minutes of a dance class, or an hour’s stroll in the sunshine, your problems may appear smaller and more manageable. This makes it easier to stay on track and continue working toward recovery. Another way to manage stress is with a strong support network. In rehab, you may have the opportunity to find this in treatment. Thus, group therapy sessions are an excellent way to discuss stress, bring up fears and apprehensions, and work through difficult life problems. Additionally, outside of rehab, group therapy is still an option. The most popular recovery groups are 12-step programs, which are in almost every city around the world. However, your support network might also consist of the friends you made in rehab. Your close friends or family members who want to support your recovery journey act as additional support as well. It’s important to recognize that the cause of stress might not be external. Mental illness also contributes to stress. Often, the most efficient way to manage stress is by treating your mental illness. In rehab, dual diagnosis care and extensive therapy go a long way in handling emotional concerns. At 1st Step Behavioral Health, patients can expect to learn a number of stress management techniques. In particular, the life skills program tackles one of the biggest sources of stress. Integrating into society after rehab is extremely difficult for many people. Life skills training helps patients with time management, financial planning, and necessary job preparation. Learning to manage stress is key to successful recovery. At 1st Step Behavioral Health in Pompano Beach, Florida, you’ll begin your journey to successful addiction recovery with the right tools. Embrace the sober lifestyle you deserve by calling 866-319-6126 today.